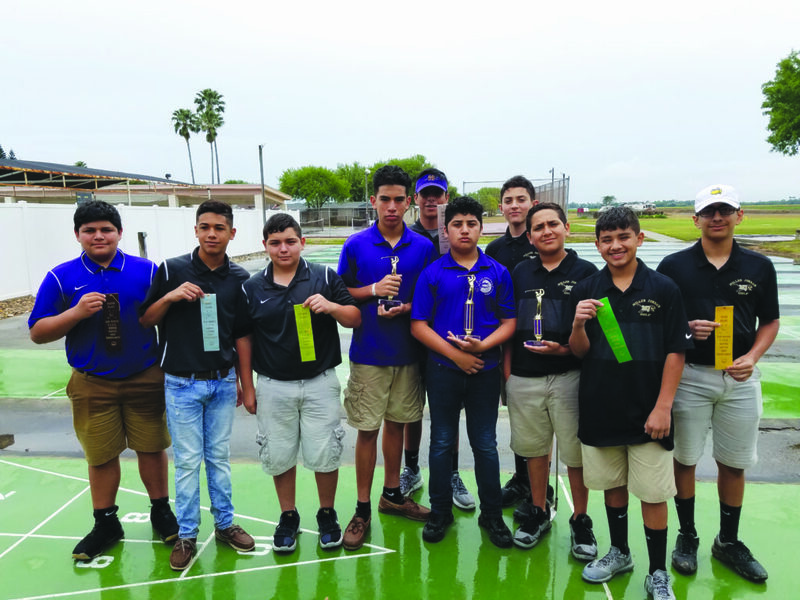 The San Benito CISD Golf program hosted the Middle School City Championship tournament on Saturday, April 28 at Cottonwood Creek Country Club. The tournament field was comprised of players from SBCISD’s three middle schools. Battling rainy conditions and a very competitive field, the players put their best efforts in order to come out as city champions. The tourney was shortened to six holes for boys and six holes for girls due to the conditions. In the girls’ division, Riverside’s Amber Reyes fired a 22 in six holes while her teammate Ashley Trejo came in second place at 25. Miller Jordan’s Jessica Garza (29) earned third place, while her teammate Ekaterina Cruz (33, tiebreaker) was fourth. Rounding out the top finishers were Mariah Garcia (33), and sisters Jocelyn and Rayana Lopez, all from Berta Cabaza. Riverside claimed the Girls’ City title, followed by Miller Jordan and BC third. On the boys’ side, BC’s Eddie Molina (25) fought off a tough field and took top individual prize. Gabriel Flores from Miller Jordan (28, tiebreaker) was second. Andre Mercado (28) of BC took third, while Miller Jordan teammates Nicholas Gonzales (4th), Armando Garza (5th), and Ethan Lugo (6th) rounded out the top six. BC’s John John Menchaca was seventh, Alan Vasquez of Riverside finished eighth, and BC teammates Jorge Rodriguez and Jarrid Lopez finished ninth and 10th, respectively. Miller Jordan (29) edged Berta Cabaza (27) for the boys’ city championship with Riverside in third. Coaches for the respective schools are Armando Garza (Miller Jordan), Alfonso De la Cruz (Riverside), and Pablo Sanchez (Berta Cabaza). 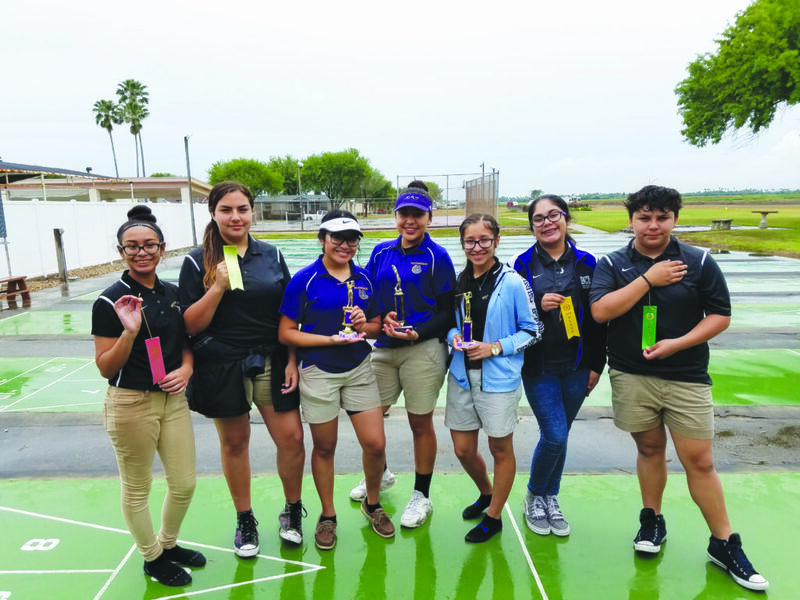 The San Benito golf program is led by varsity coach Henry Valle.